We have all been there and witnessed a heavy downpour and a harsh sunshine without a sturdy umbrella. It is seen that large section of umbrella users only realize the importance of using a good quality umbrella after wasting huge money on cheap quality umbrellas. Although we are living in a society where things come with an expiry date, but there are some products like the custom Totes umbrellas which are crafted to last. Over the years, customized Totes umbrellas have been extremely popular with marketers because they have stood the test of time and are extremely trendy, chic, and affordable. Counter the Competitive Storm and Hurricanes with Custom Totes Umbrellas! Marketers have been aggressively resorting to logo tote umbrellas for value building. 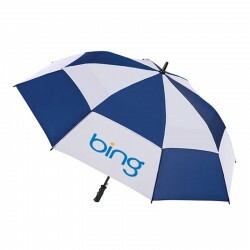 Although these umbrellas are pricier than most other cheaper promotional umbrellas, they offer long-term marketing solution. 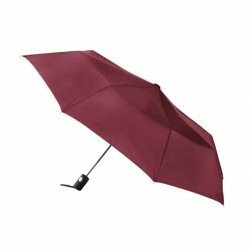 Popular umbrella styles under this category includes auto open close umbrellas, folding umbrellas, bubble umbrellas, golf umbrellas, stick umbrellas, animal printed umbrellas and mini umbrellas. These umbrellas can be availed in manual and auto open/close umbrella styles and they have been built to last. With varying fun prints, design and multiple sizes, it is very easy to choose the umbrella, which meets your taste and suits your budget. Whether you are searching for a large, full-sized or lightweight umbrellas, totes umbrellas keeps you in the limelight and shade as well. 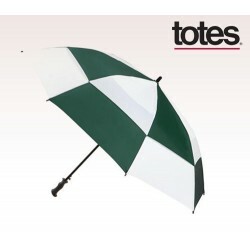 This collection features Totes custom umbrellas in various shapes, sizes, colors, designs and budget sizes. You can come, see, select and gift away any of these umbrellas and just lay back to see how they alter your brand perception and it helps you build a strong customer base. The best thing about these durable customized Totes umbrella is that they are offered with a lifetime warranty. You can get your logo screen-printed, through Vivid Expressions or by other means prior to handing it out. To know about our special prices and other valuable advantages, feel free to give us a call at 888-254-5290 or email us at info@usumbrellas.com.